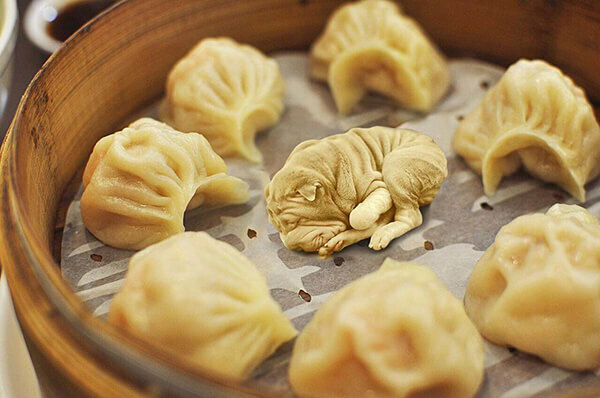 Don’t be afraid, we are not to talk about eat dogs as food. 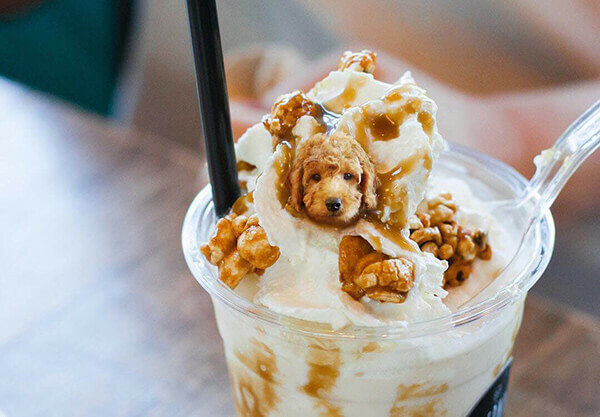 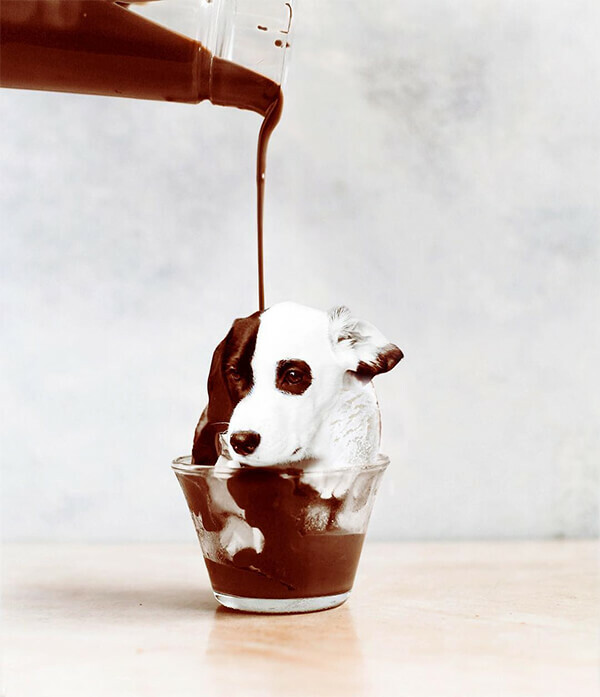 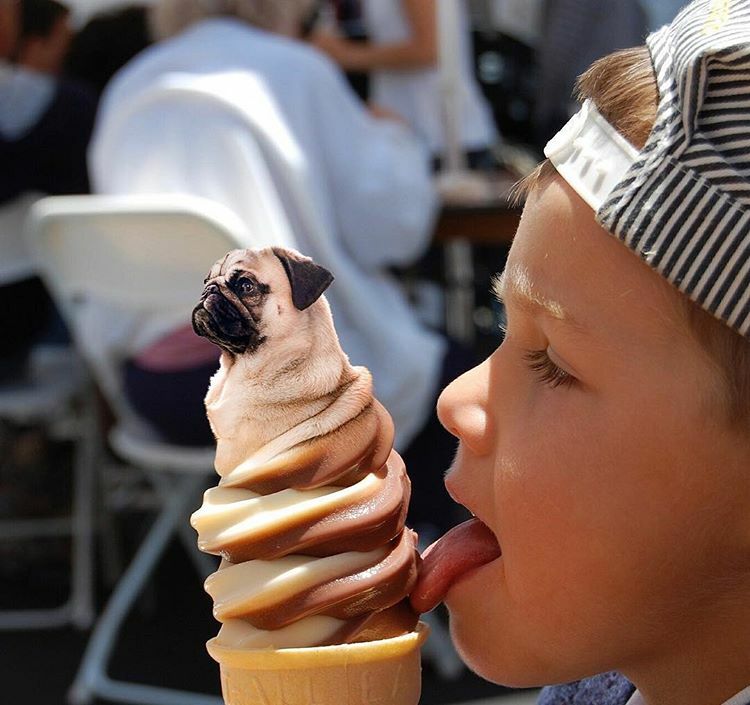 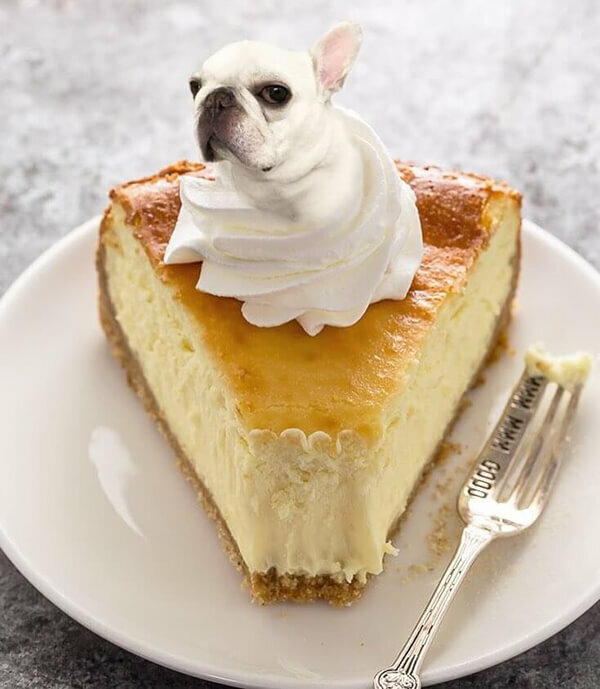 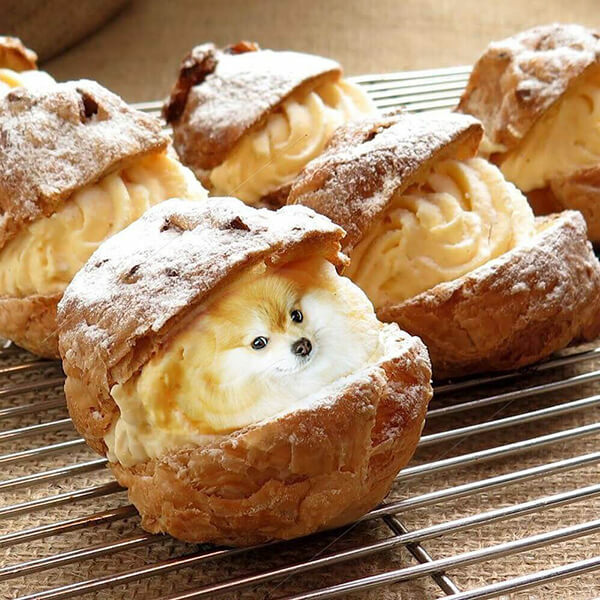 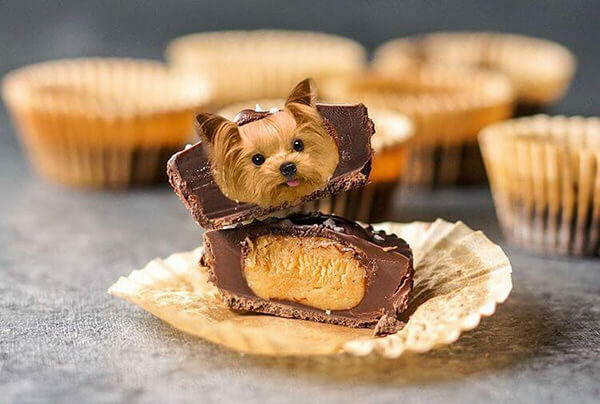 “Dogs in Food” is an interesting photo series created by Russian artist Ksenia who mixes precious pups with mouthwatering bites to create cream-of-the-crop composites. 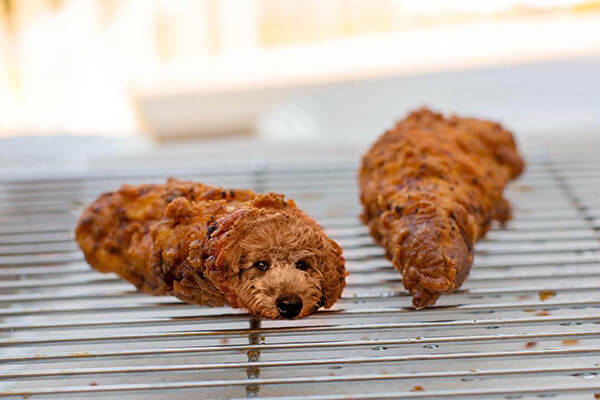 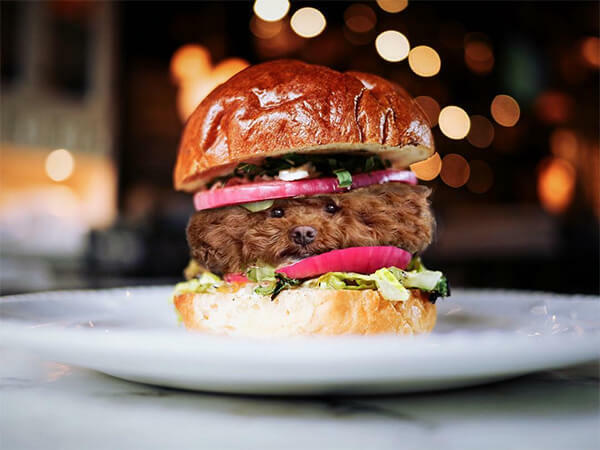 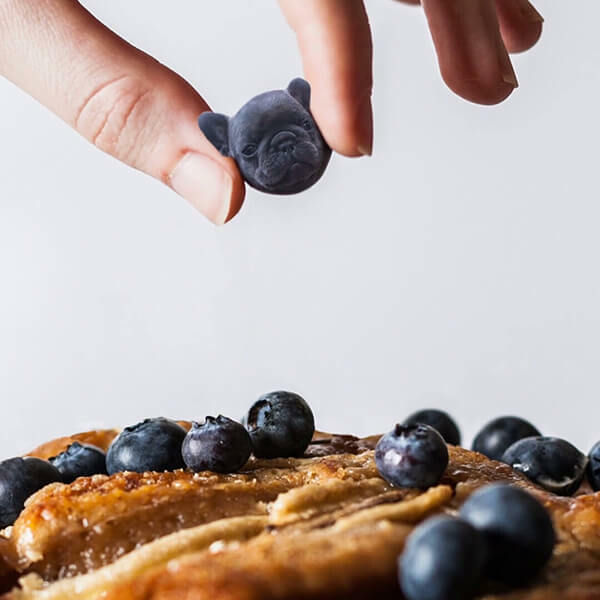 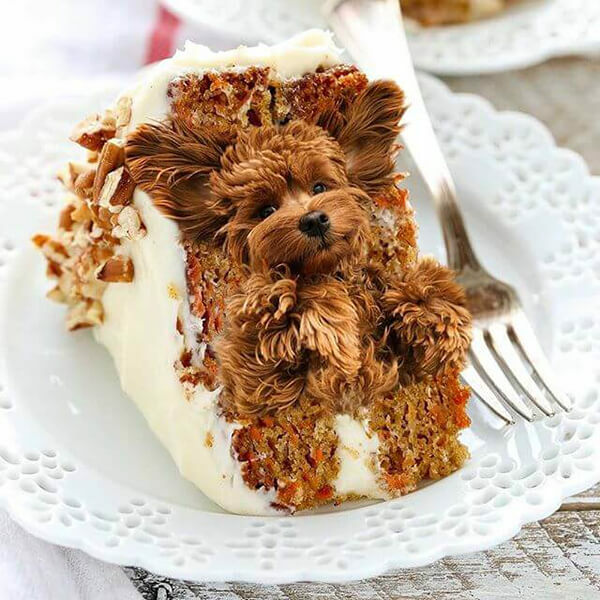 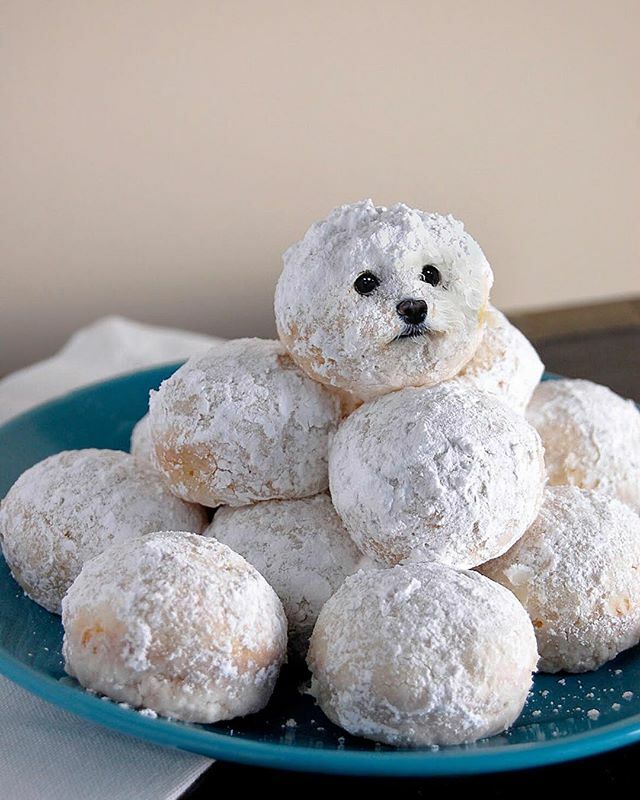 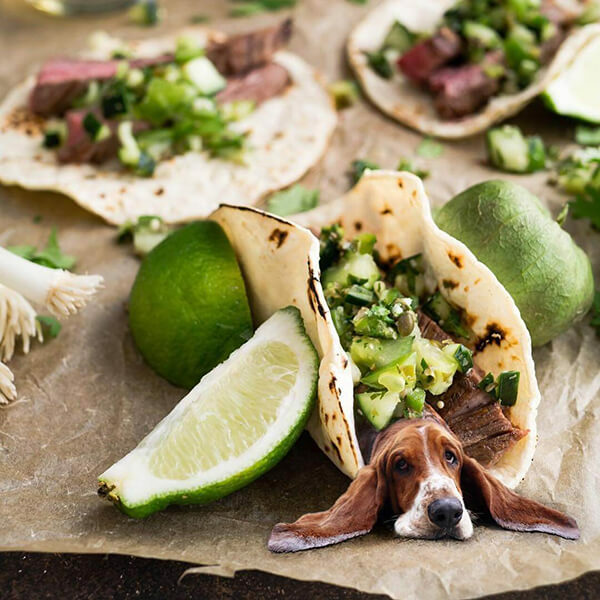 Using photoshop as tool and carefully selecting dog according to their color, texture, and shape, Ksenia disguises the cute ones in various food (bread, drink, dessert and meal). 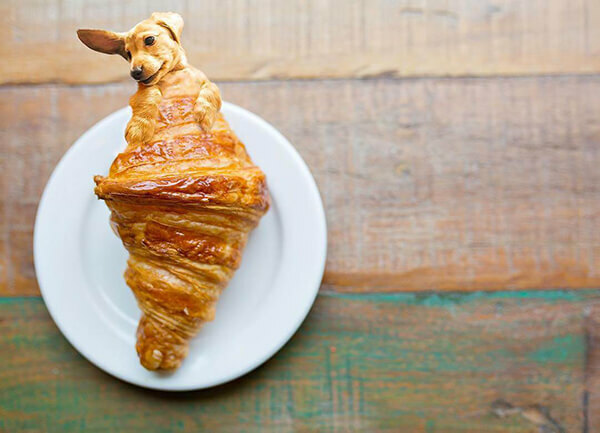 A sweet Cockapoo masquerading as a spicy carrot cake, a Dachshund poking out of a croissant, and Sharpei are surrounded by dumplings which are ready to be severed. 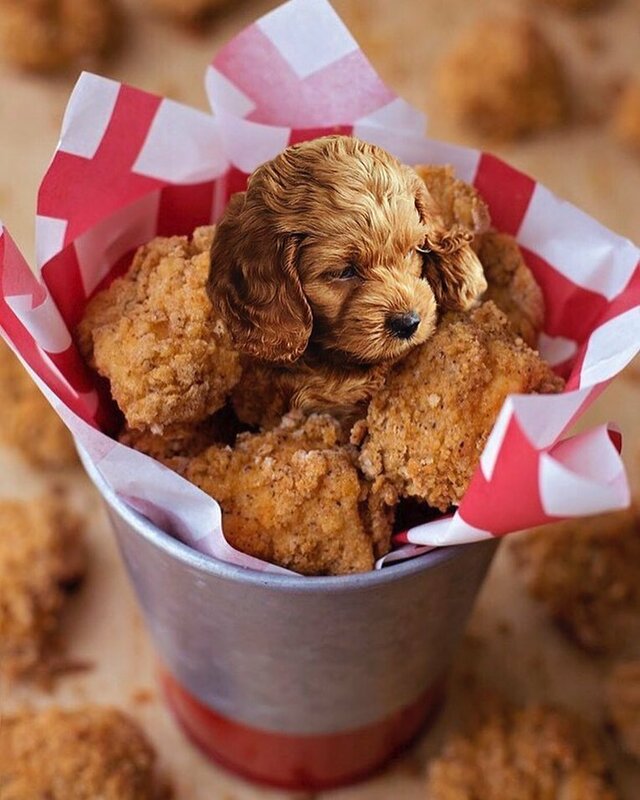 Want to see more “mouthwatering” menu of delectable pups, just head over to Ksenia’s instagram page.